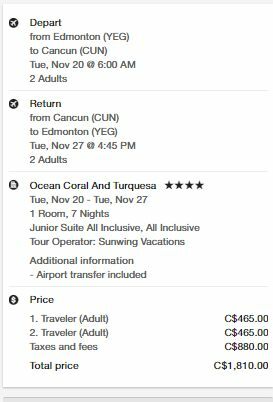 Sunwing Vacations has dropped the price of a few of their 1 week all inclusive packages (flight, hotel, transfers, all meals, all drinks) from Edmonton to 4* and 4.5* resorts in the Mayan Riviera of Mexico down to between $905 and $985 per person. The flights from Edmonton to Cancun, Mexico with Sunwing have 1 stop each way, in Calgary. 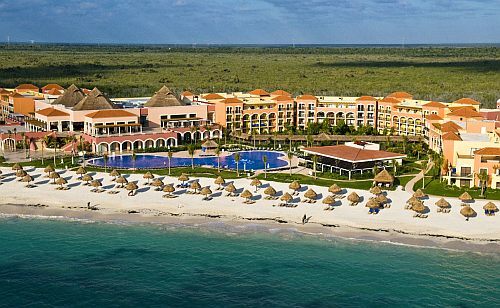 edmonton, yeg, mexico, mayan riviera, cancun, all inclusive packages, north america, puerto morelos and playa del carmen.